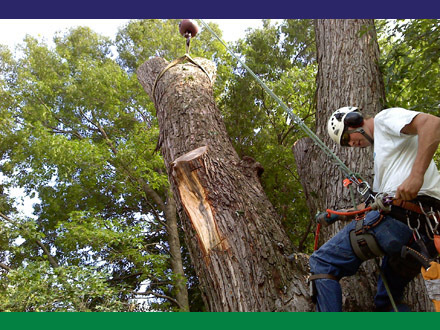 Earth Care employs three ISA certified arborists in order to give our clients the most knowledgeable and informative evaluation of their trees. 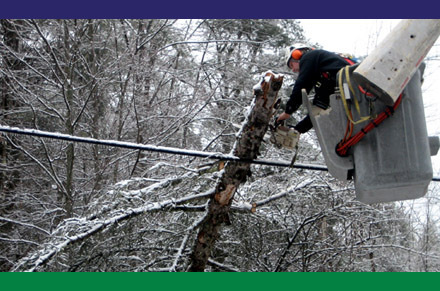 After scheduling an appointment, a certified arborist will meet with the customer at their property and discuss recommended action. All estimates are free of charge. Only after a written contract is signed by the client will the work be scheduled and performed. Although most tree work can be done at anytime of the year, Earth Care considers winter to be the best time to approach tree removals and pruning on golf courses. Frozen ground permits equipment access to several locations that would be considerably damaged in any other season. Also there is no interruption of play. Many Earth Care employees have worked on golf courses and/ or have turf management degrees. We feel that our experience in this field permits us to give knowledgeable recommendations and a superior final product. We have recently provided Schuyler Meadows Club, Eagle Crest Golf Club, and Van Patten Golf Club our services. Earth Care is currently the line clearance contractor for Verizon in area code 518. 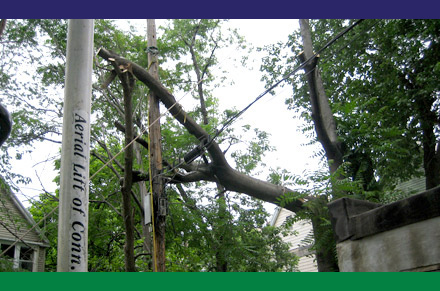 We deal directly with Verizon working to keep their communication lines clear of intrusive and storm damaged trees. We also clear the way for new communication lines to be installed. We pride ourselves on informing the property owner whenever line clearance work directly affects customer trees and/ or property. 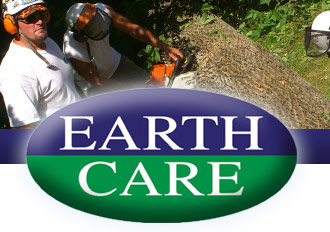 "Like" Earth Care Plus on FaceBook.